Air Wick Scented Oils provide a fresh and fragrant way to ensure your environment is always smelling its best. Each Air Wick Oil refill is sure to keep any and all homes, restrooms, offices or other location smelling fresh, clean and inviting. Providing an instantly clean and comfortable scent, Air Wick Scented Oils are the easy way to maintain a fresh scented indoor environment. 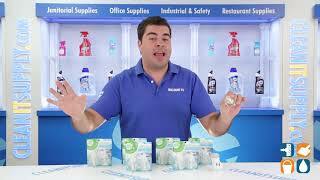 Air Wick Oil Refill provides the perfect hands-free way to handle less than pleasant odors. Just plug in these easy to use scented refills into your Air Wick Scented Oil Warmer and enjoy the soothing aroma. Coming in a Fresh Waters scent, these aromatic refills work great in areas like the kitchen, bath, office, and more.